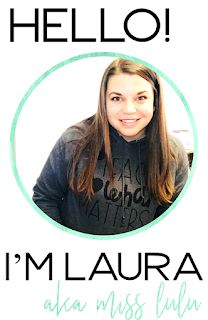 Blog Design by Miss Lulu. Graphics by A Little Peace of Africa.. Powered by Blogger. Hi friends! I'm excited to share my newest bundle with you- Work Tasks for Secondary Students. This new line has been a work in progress for the last year and I've finally finished the first 5 sets! Here's a close up of what's included and some tips to put it to use it in your classroom. When I first started teaching, I used a lot of boring and repetitive instructional methods. They worked fine, but my students really struggled to generalize the skill that they had learned. Over the past few years, I’ve really worked on increasing the types of tasks and activities that I use to teach my students a given skill. By varying my instructional methods, not only are my students doing so much better with generalization but it’s so much more fun. They are more motivated to learn. And with middle schoolers, I need all the help I can get to get students excited about learning! 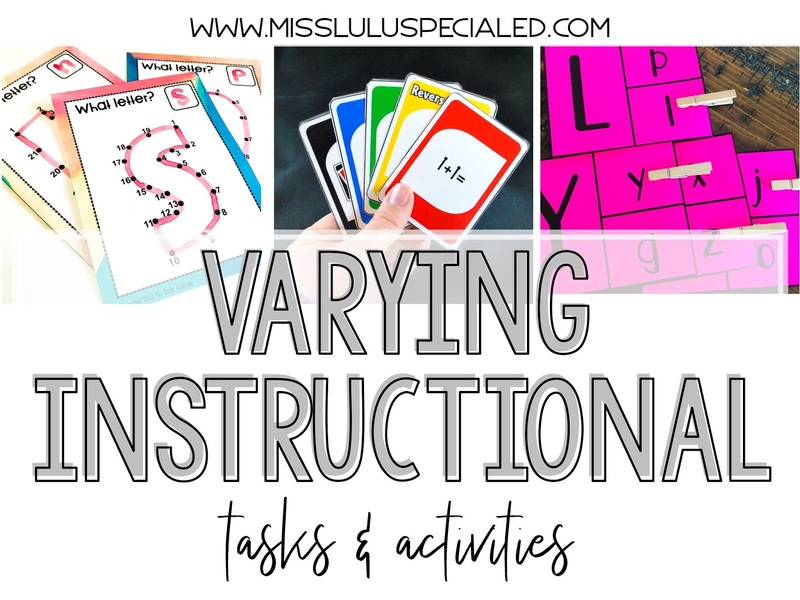 Here are some of my favorite ways to vary instruction in the classroom. 1. Task cards. 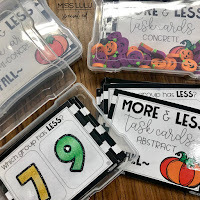 I love task cards and you can find task cards for pretty much any subject area on TpT. There’s just something students love about using a dry erase marker or clothespins to do their work! I don’t generally use recording sheets in my classroom because I have a small number of students and enough staff to check answers as they work, but you can easily have students record their answers if you are using task cards for independent work. I especially love using task cards for math centers. You can check out the task card sets available in my store here. 2. File folders are another thing that you can easily find on TpT. I use lots of matching and sorting file folders in my classroom for students who are working on these skills. They are a quick task. The take more time upfront to prep, but you can use them for years and years. 3. Write the Room is another fun activity that we’ve been using for math review this year. You just tape numbered flash cards up around your room and your students walk around and write the answer on their record sheet. If you have enough assistance in your classroom, your non writers could walk around and verbally state their answers to a para or peer tutor. Great way to incorporate some movement into your instruction. 4. Games are my favorite. Everybody responds better to a game than a worksheet! You can easily make board games like Sorry or Trouble academic by requiring that students answer a question or complete a task before moving their piece. For example, if your students are working on addition facts, they have to solve an equation before they can roll and move their piece. 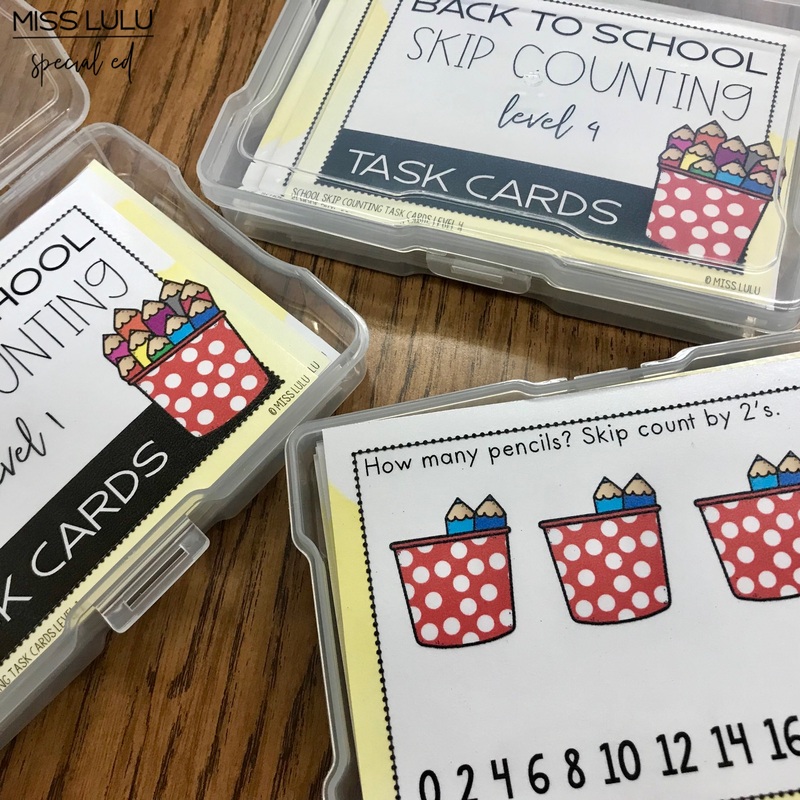 It's an easy activity that requires no prep from you- just grab a stack of flash cards and a board game that you already have in your classroom. 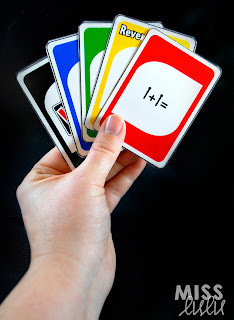 I also use these Uno type card games quite often with my students. They love them! We also have a blast turning instruction into a game show! Grab a buzzer and a whiteboard to keep track of points and you’ve got an easy and fun review activity. 5. Another fun way to switch up instruction is to allow your students to to teach the skill or be the teacher. You should obviously only do this once the student is close to Mastery s they aren’t teaching it incorrectly. We love to do this for spelling. The student calls out the word and students practice writing it correctly on their whiteboard. Then the student “teacher” checks everyone’s answers and corrects any mistakes. 6. Interactive methods. With technology becoming more and more available in our schools, it’s fun to incorporate it into your instruction and it’s super motivating. I love using my Click It books or having my students read on the free app, Epic. 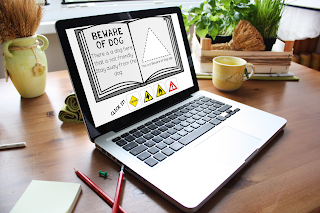 There’s lots of digital activities available on TpT. You can grab a free counting activity from my store by clicking here. If you have iPads, there are so many apps out there that help reinforce a variety of skills. Technology is a great way to keep your students engaged! I think it’s so important that we think outside of the box when we are coming up with ways to reach our students. Learning needs to be fun and skills that are presented in a variety of ways will help build in generalization from the beginning. What are your favorite ways to provide variety in your instruction? 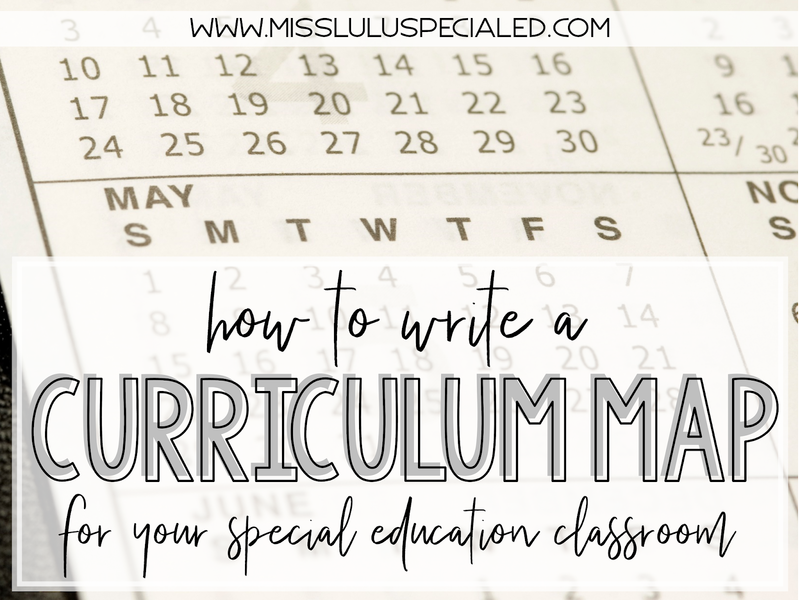 I love hearing what curriculum other teachers use in their classrooms. There's a lot of options out there. Some are great for special education and some require tons of modifications. What I'd really love is to spend a professional development day visiting other classrooms and looking at the curricula they use, so here's a little peek at what's being used in my classroom. 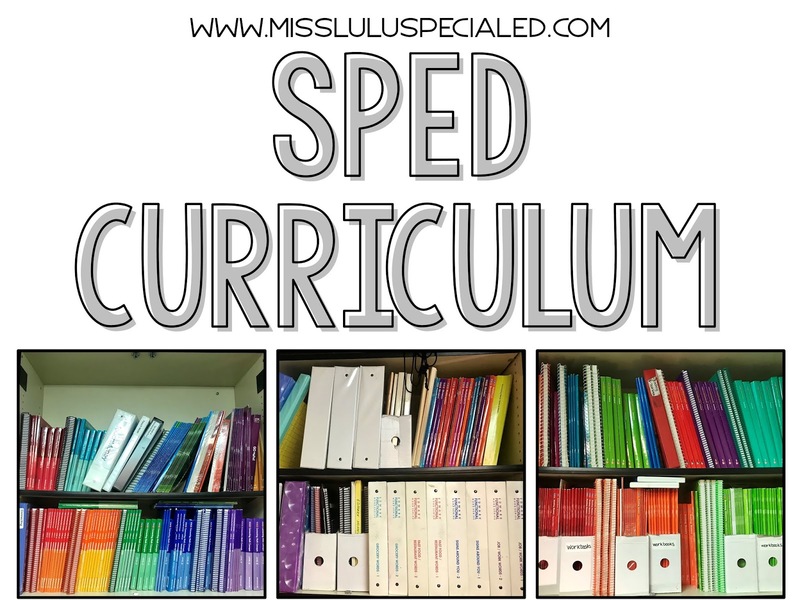 Disclaimer: These are my personal opinions and experiences with curriculum and programs. Don't hold it against me! 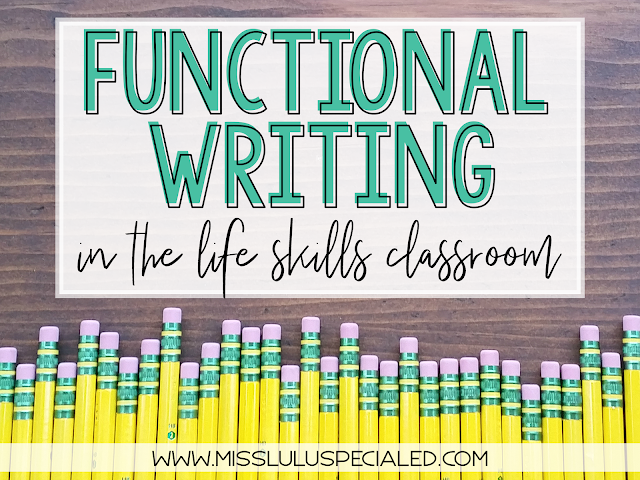 Understanding functional math skills, like time and money, is essential for students with severe disabilities. 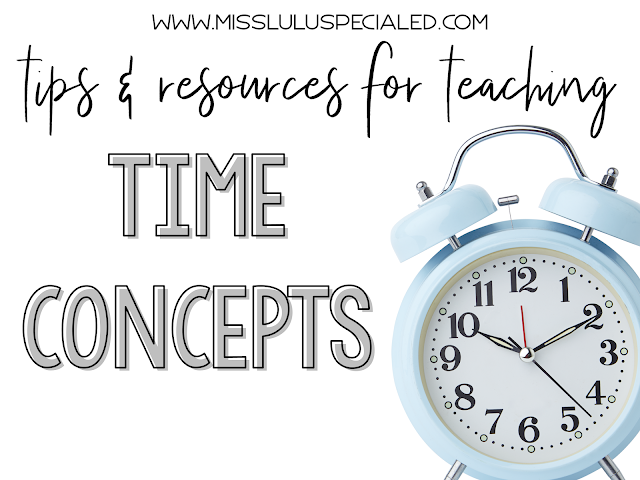 I posted some tips and resources to teach money skills a few weeks ago and today I'm here to share some quick tips & resources for teaching time concepts. 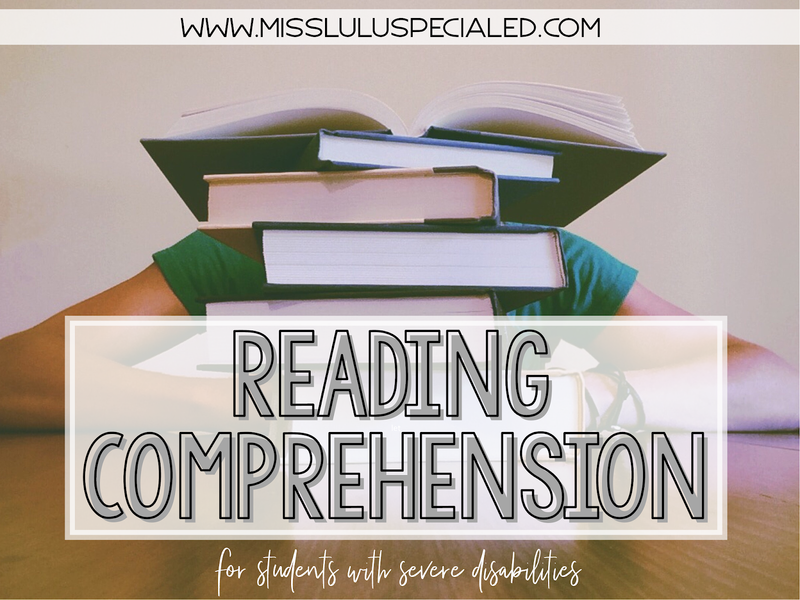 All of the resources linked in this post are ones that I actually use in my classroom with my students!